Sanctions against Russia will backfire and actually benefit the economy, President Vladimir Putin has said. 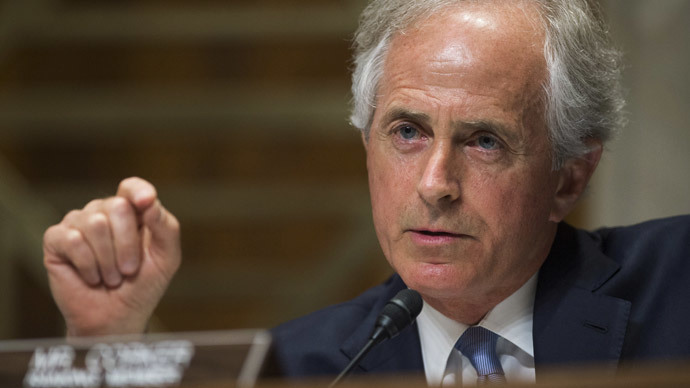 His comments follow US President Obama’s threat that the White House has prepared a third round of sanctions. 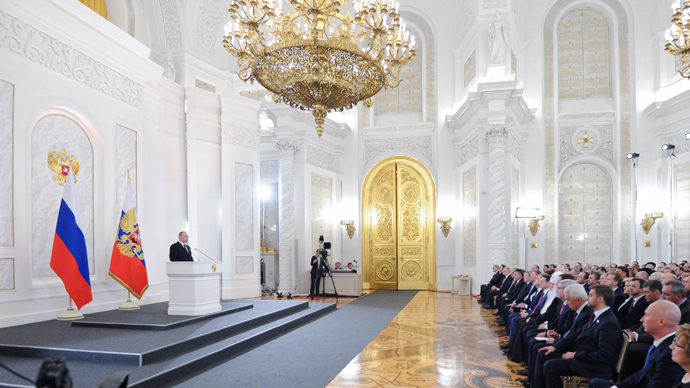 “Over-reliance can lead to a loss of sovereignty,” Putin said at a media forum in St. Petersburg on Thursday. 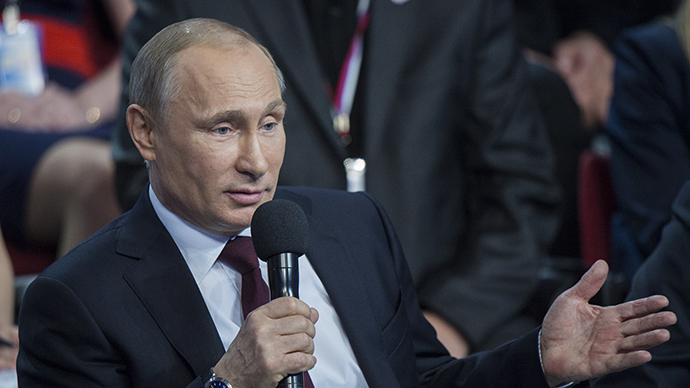 Western-led sanctions have several advantages for Russia, the President said. The threat of real economic sanctions is already helping boost domestic businesses, bringing more offshore funds back to Russia, and giving policymakers the push they need to establish a domestic payment system. 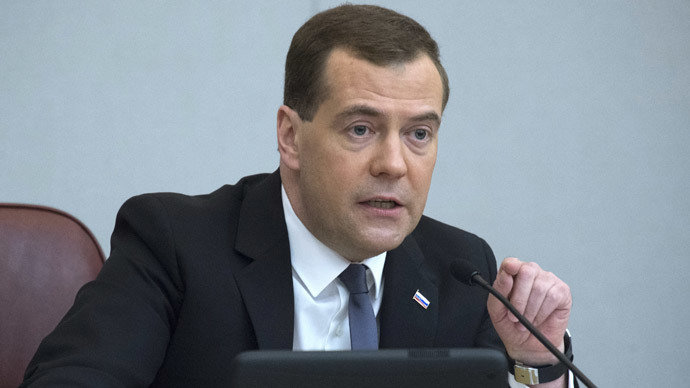 Similar to what Prime Minister Medvedev said last week, sanctions will only make Russia stronger. De-offshorization has long been a priority of the Kremlin, and Western-led sanctions only help this cause. Policymakers are also encouraging businesses to list their companies in Russia, and not abroad, to shield themselves from sanctions. The first wave of US sanctions prompted a mix-up with Visa and Mastercard, which led to unlawful blocked payment freezes at three Russian banks in March. Services shortly resumed, but President Putin thinks the disruption will lead to losses for the two giant credit card companies. According to Putin, this was a “very big mistake”. 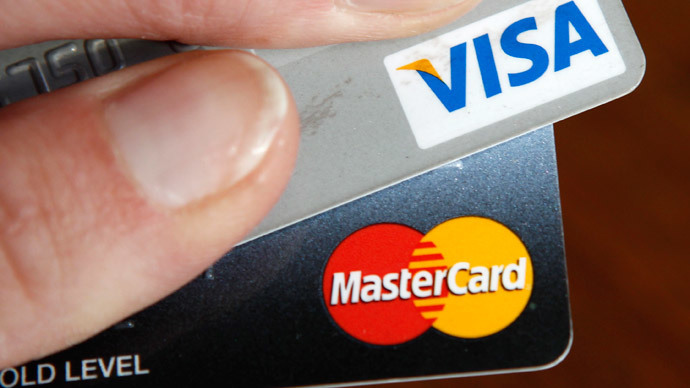 Putin said he believes the Visa and MasterCard payment systems will lose their market share in Russia -currently 90 percent- over any future payment disruptions. “I’m sure they are already aware of this,” the president said. “I’m not talking about some administrative steps from our side. We do not envision any punishment steps for our dishonest partners. But they are undermining our credibility in them, which means they are absolutely certain to be losing market share," the president added. Putin is worried that the payment systems will continue to “cave” under US pressure. On Wednesday, US President Obama said the US is ready to unleash a third round of sanctions against Russia, as tensions in eastern Ukraine haven’t deescalated, as agreed upon in last week’s Geneva peace plan. While sanctions against Russia have had some negative effects on the Russian economy, like a ratings cut and loans becoming more expensive, it hasn't been dramatic, Putin said. "On the whole, probably, [ratings] cause harm, because ratings are reviewed and loans can become more expensive, etc.,” Putin said. So far, two agencies, Standard & Poor's and Fitch have downgraded Russia's credit rating over the potential impact of US and EU sanctions. Forecasters have cut their estimates for Russian growth in 2014, with the best case scenario at 2.5 precent, and the worst, 0 percent. The EU is holding off on a third stage of sanctions against Russia over Ukraine, as there is little consensus among member states. The council is considering economic measures, but won’t meet again until May 12 to discuss the matter.